And he was torn apart! 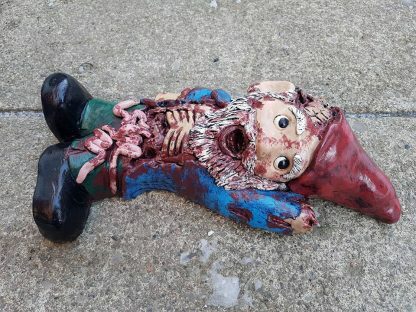 Each of these ravaged corpses are sculpted meticulously in water/oil clay, cast in rock solid premium grade gypsum cement, and hand-painted to bring out all of their ghoulish detail (and to ensure that no two are exactly the same). 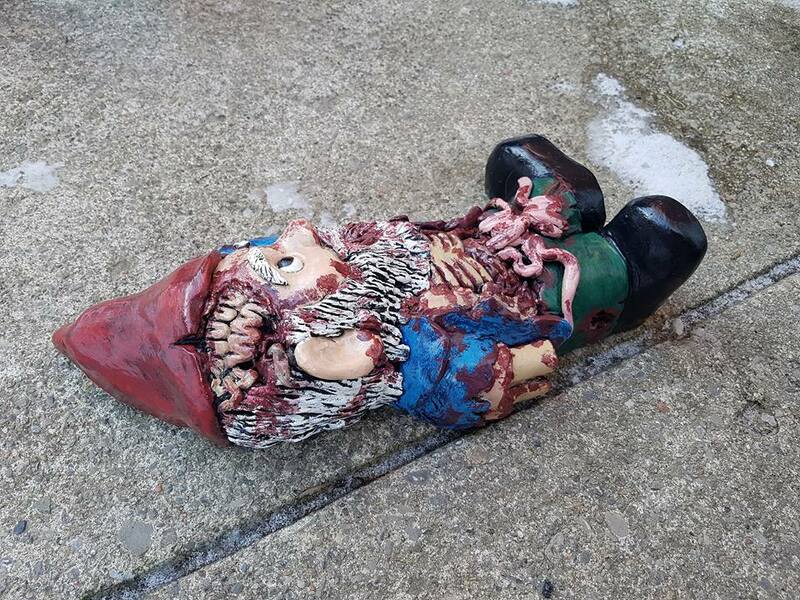 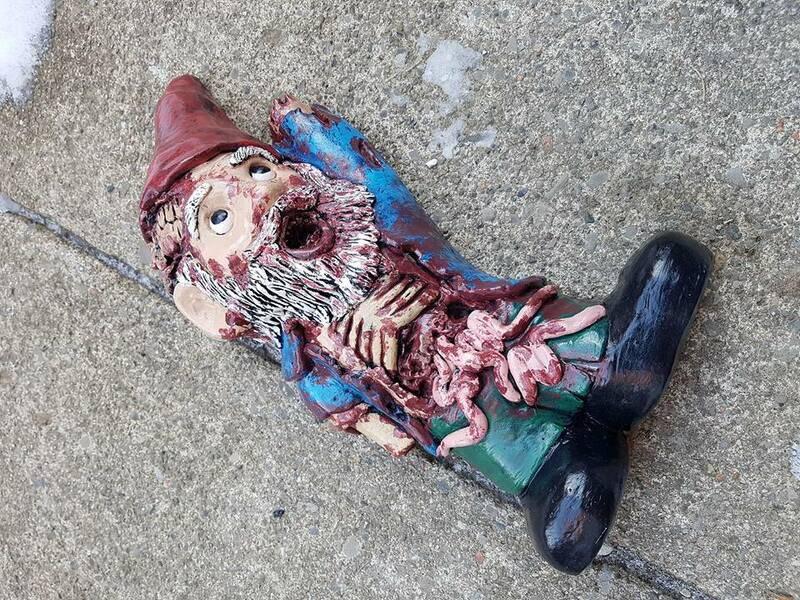 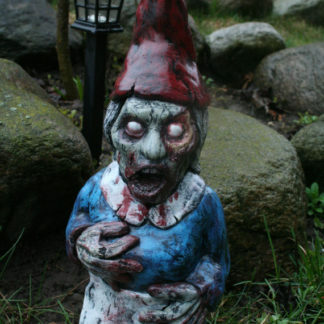 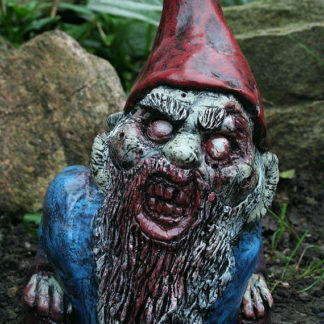 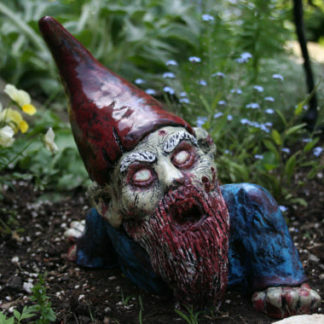 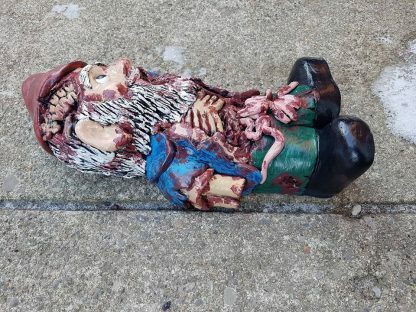 Lastly, they are each coated in a high gloss outdoor sealer to prevent any further decay and to help these poor gnomes withstand the elements in their as they await their zombie resurrection.